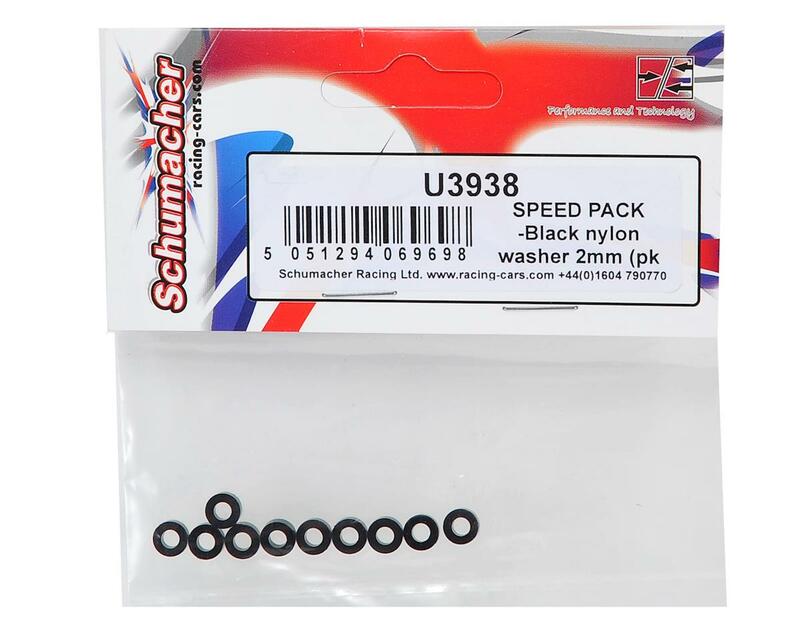 This is a Schumacher 2mm Nylon Washer Speed Pack. 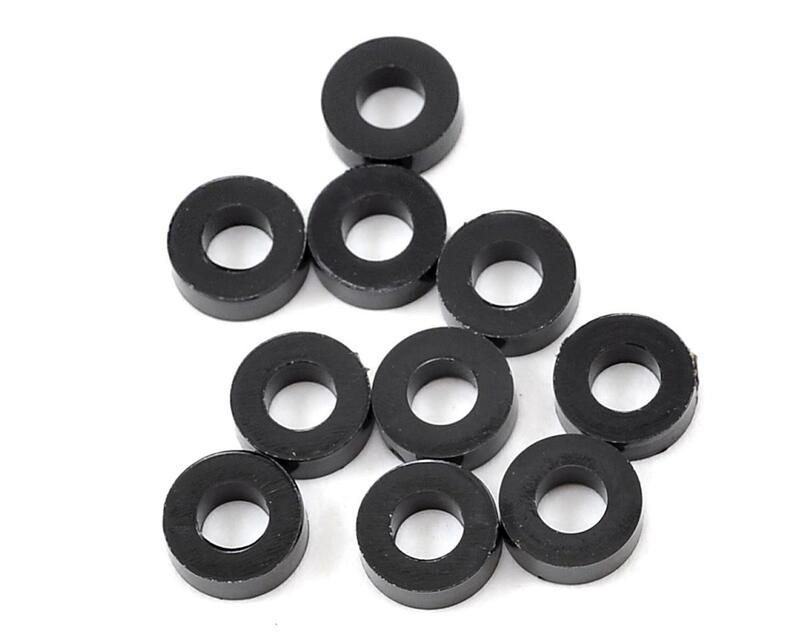 These washers have a 3mm inner diameter, 6mm outer diameter and are 2mm thick. These are used in the Cat K1 Aero rear wing mount assembly, but may also be used with other Schumacher vehicles, and are compatible with any application that uses a 3x6x2mm nylon washer. Package includes ten washers.